Award-winning Detroit journalist Rochelle Riley visits with a powerful book she edited and also wrote for, The Burden: African Americans and the Enduring Impact of Slavery (Wayne State University Press). Over twenty contributors, including familiar names such as Michelle Singletary, DeWayne Wickham, Patrice Gaines, and Leonard Pitts, Jr., are included along with exciting newer voices and perspectives. “Rarely in American history has the disconnect between past and present been so obvious in our national discourse: with slavery recast as 'inconvenient' rather than devastating as the nation struggles to pretend away its legacy of racism. In this important series of essays, some of the nation's leading scholars, thinkers and artists help reframe our national dialogue to point toward real healing rather than the treacherous path of continued denial and destruction.”– Tananarive Due. 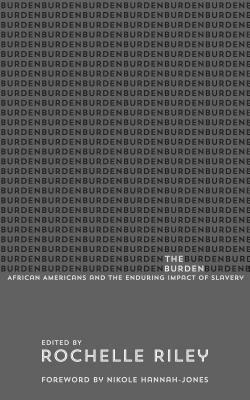 “The Burden is one of the most comprehensive, enlightening, and thought-provoking books I have ever read on African-American history. The insights into how slavery affects every aspect of America today from politics to economics to culture is powerfully presented by this remarkable essay collection.” – Kareem Abdul-Jabbar. Free admission. Co-presented by the NORTHWEST AFRICAN AMERICAN MUSEUM, the SEATTLE ASSOCIATION OF BLACK JOURNALISTS, and ELLIOTT BAY BOOK COMPANY. Please see www.naamnw.org for more information.